Assistant DA Erin Jerome has a secret. Make that two. One: She's not entirely human -- she's Other, desperately trying to keep her supernatural strength under wraps. Two: she's got a killer stalking her -- an Other rogue set on "gifting" her bloody corpses, not to mention nights lying awake in terror. Small wonder she's been having bad luck with men. But the bounty hunter on her new case isn't worried about any of that. 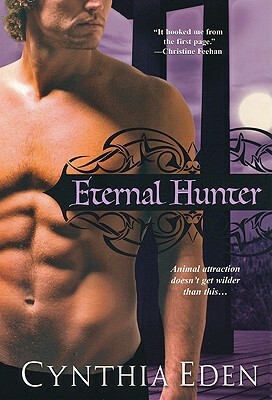 Jude Donovan is a shapeshifter himself, and the new DA's midnight hair and addictive scent tell him all he thinks he needs to know: She's gorgeous, she's definitely not human, and she's bringing out the animal in him in a really good way. He might have to track a psychotic Other stalker through half of Louisiana. But he might also get the chance to watch Erin's wild side come out and play. . .
Jude Donovan is part of the Night Watch team. He is a hunter, mostly of Other but for human's as well. Hunting for those against the law helps keep his beast happy. And it's quite a beast that Jude has inside of him, he is one of the rare white tiger shifters. After catching one of his human bounties, he gets a call that the man was murdered while in his cell and it's not pretty. Once Jude meets ADA Erin Jerome...his beast goes on a new hunt. Erin has started a new life. After her stalker in Lillian, she thought she could escape to Baton Rouge and start over, but now it seems he has found her once again. A stalker who thinks leaving her dead bodies should make her happy. After hiring Jude to help hunt down her killer, she finds the man takes protecting her seriously. Erin has tried to hide her true nature and live normal but can she let her wild side out with Jude? And when he finds out all of her secrets will he still want to be by her side? I enjoyed the storyline and the suspense. A killer who seemed to be invisible, how so you find someone that no one ever sees? Many of the other characters were interesting as well. Very good book. I look forward to reading more of her work. Love strong alpha males who know exactly what they want and do not waste any time going after it. Love, love , love that.